When I took up the role of the UN Youth Volunteer for the High Commissioner for Human Rights, I was not quite sure what to expect. Kankan, Upper Guinea; Guinea-Conakry: When I took up the role of the UN Youth Volunteer for the High Commissioner for Human Rights, I was not quite sure what to expect. "From the university benches, past lectures and books to the real-life practice of human rights on the field." These words are what come to mind when I try to summarise those three weeks on mission to monitor human rights in Guinea. Based at the West Africa Regional Office (WARO) of the High Commissioner for Human Rights (OHCHR) in Dakar, I never thought I would, one day, find myself paying unannounced visits to places of detention and deprivation of liberty in a region as remote as Upper Guinea (which makes up 40% of the Guinean territory). 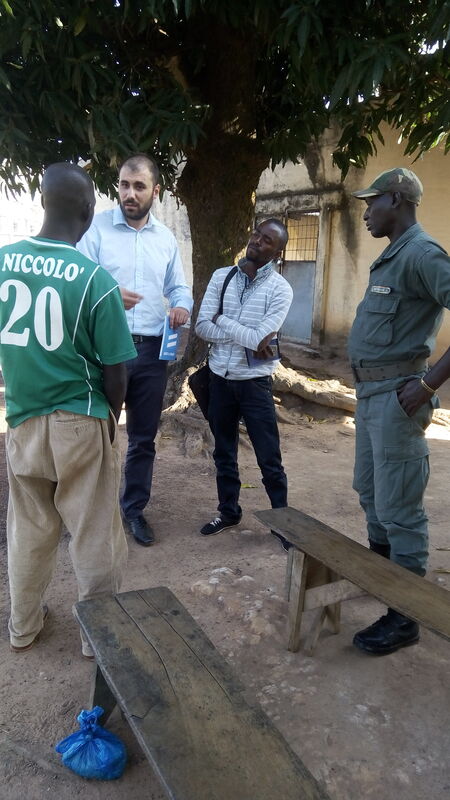 Fulfilling the commitment of the OHCHR’s national office in Guinea, I was entrusted the mission of paying visits over the course of three weeks to civilian prisons and police in the Upper Guinea region. Guinea has, since the end of military rule in 2010, been working to reintroduce judicial and correctional institutions that meet its international commitments, case being the Convention against Torture and Other Cruel, Inhuman or Degrading Treatment that it ratified on 10 October 1989. Although the country is on track, the Committee against Torture, which is responsible for monitoring the implementation of the Convention in countries that have ratified it, had made recommendations to follow in the concluding observations of the last review of Guinea in June 2014. The OHCHR national office in Conakry and its antenna branch in N'zérokoré are responsible for monitoring the situation and the compliance of policies conducted with the recommendations of the Committee mentioned above. It is in the context of this mandate I was able to undertake unannounced visits to places of detention and deprivation of liberty in Kankan, Siguiri, Mandiana, Kérouané, Dabola and Dinguiraye. Accompanied by one of only two female “drivers” of the United Nations System in Guinea, Youla Kadiatou, I was able to visit more than 12 gendarmeries, police stations and civilian prisons, covering over 1600 kilometres in 3 weeks. While reminding the security and police forces of Guinea’s obligations regarding the rights of prisoners, we met more than 70 suspects and detainees and questioned them on the conditions relating to their health, hygiene, medical and nutrition. Additionally the investigation also focused on their treatment by law enforcement officials from the time of their arrest to police custody and up to the execution of their sentences for those convicted. I am hopeful that there will be a prevention mechanism through a national system for the surveillance of all places of detention in Guinea. In the meantime, I wish to continue practicing human rights on the field. There is nothing quite as meaningful as volunteerism.